» How Meditation can be Medication for Everyday Life. Are you one of those people who has every excuse in the world not to meditate? Curious as to how mediation can be life’s medication? There are many reasons why people don’t see meditation as something they will try. They simply do not understand what it is, or have pre-conceived notions as to what it does or who does it. Do any of the following reasons for NOT meditating sound familiar to you? I don’t understand what it is. I have no time to meditate. I can’t sit still for 5 minutes. My mind is just too fast. I don’t believe in meditation. It’s not part of my religion. 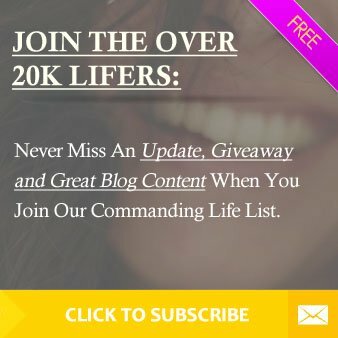 If you have ever felt this way about meditation, allow us to get a little into what meditation is and how it can improve your quality of life. Did you know that meditation is simply a mental exercise? Meditation is easier than you think. People often say that they could never meditate because they cannot sit still. Do not look at meditation as sitting still, look at it as a scheduled meeting with you daily. Meditation is the most life changing appointment you could have daily. Do you want to hear what is being said to you? Meditation is life’s medication because it can help you mentally heal plus give you strength and direction. A body that is exercised gets stronger. A mind that is exercised also gets stronger. A strong mind has the power to take on life’s numerous challenges. A recent study by Yale University found that meditation can decrease a wandering mind. A wandering mind is when your mind floats from thought to thought without your control. Mind-wandering is typically associated with being less happy, unfocused, and worrying about the past and future. The study shows that meditation through its quieting effect on the mind, can help form new brain connections that help you snap out of wandering. By focusing on building your mind power you can create what you want out of life. Everyday we take the time to meet with others, meditation allows you time to meet with yourself. Just as you prepare for a meeting with your boss or someone influential, in the same way you should prepare for meditation. After all, this meeting with yourself determines if you become happier or not. Place – Find a quiet place without noise and distractions. Where you meditate is important, it is your meeting place. The things to keep in mind when you are choosing a place to meditate is the noise level and distraction level. You always want to choose a quiet place. Make the quiet place your own. If you meditate with your eyes open, create a focal point with things that mean something to you. Things that bring you joy. You can meditate anywhere, in your office with the door closed, in a closet, or at a window looking over a view you love. Wherever you choose, focus and quiet should be most important. Posture – You can sit on the floor or on a chair. The most important thing to remember about posture during meditation is to keep your body alert. This means head up, spine straight and no slouching. Always take inventory of your body as you meditate, it can also help you focus on meditation. Eyes – Keep eyes open or closed. This is an individual choice. Some people choose to close their eyes and still keep still and focused. Others need to keep eyes opened and find a single point to focus on. Try either method before you choose which works best for you. The key is keeping focused. Silence – The choice of whether you want music or silence during meditation is up to you. Some people need silence and others need music to guide them. Try both and see which works for you. If you choose to meditate with music let it guide you to a quiet internal place. For example the sound of water for some transports them to a mental place of peace which can open them up to silence. People who prefer to meditate in silence can be at peace with just the sound of their breathing. The choice is yours. Breath – Meditation begins with breathing. Start with deep breaths in and deep breaths out. 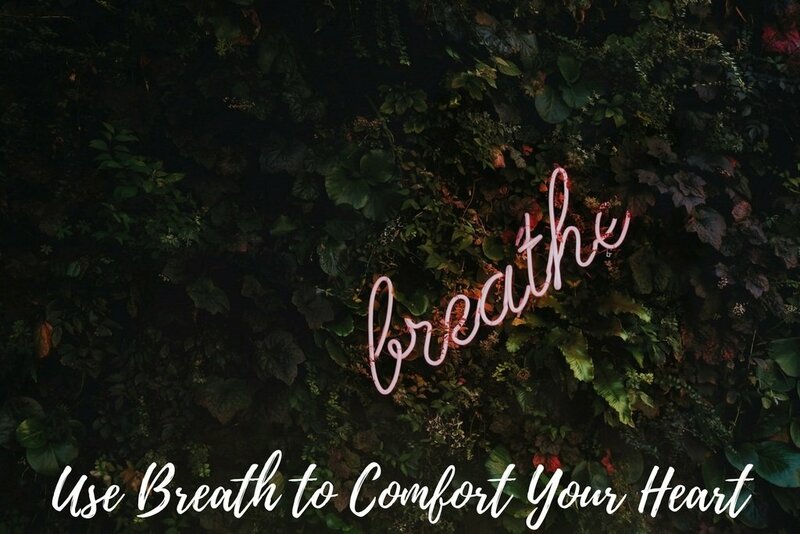 To develop focus on your breath, count as you take your deep breath in and count as you breathe out. For example count 1, 2, 3 breathing in and 1, 2, 3 breathing out. You can expand the number as you deepen your breathes. The mind will always race, you can control this with practice. If your mind races always focus on your breath. Your body – As you get a hang of your breath, deepening your inhales and exhales, begin the process of taking physical inventory of yourself. Start taking inventory at your toes, wiggle them. Move to your ankles and rotate them. How do they feel? Move to your shin, then your knees. Move your knees around a bit. How do they feel? Continue to move slowly from body part to body part until you get to the crown of your head. When you get to each body part check in to see how they feel. Are they tense? Relax them. Pay attention to how each part of your body feels and focus on removing tension. When you have completed checking in with your body, see how all of you feels. Thoughts – Your mind will wander, it happens to everyone no matter how advanced you are with meditation. When you notice your mind wandering, bring your focus back to your breath. If you are going through your body sensations try to focus on that body part. Thoughts will always try to show up. Do not get upset that they are there, acknowledge them and ask them to leave. Getting upset that they keep showing up will get you upset. Part of meditation is about acceptance. Accept you have them and refocus on breathing. Telling your thoughts you will address them after meditation is a gentle way to ask them to leave. Emotions – It is hard to focus on meditation when strong emotions overwhelm you. Emotions evoke images in your mind. Images evoke reactions from your body. When these images pop up in your head, focus on the physical reaction they are having on your body. Do you clench your fist with anger? Do you tense your shoulders with stress? Does your stomach knot with fear? Honor the feeling the emotions bring to your body. Relax your fist when you feel anger. Relax your shoulders when you’re tense. Breathe deep into your stomach filling it with air while releasing the fear. Repeat as necessary. Tell your feelings you will address them after meditation. In a gentle way ask them to leave. Time – Meditate for the length of time that works for you. When you begin to meditate you will feel like 60 seconds is like 60 minutes because quieting your mind is hard for you. Remember, it is an importing meeting with yourself. How much is that worth to you? When you first start to meditate do it as long as what feels good. Build your meditation time up as you build your concentration. 10 minutes to 25 minutes are great time frames for meditation. Mediation can heal by not only helping to calm your mind, it can help improve your outlook on life when paired with the power of words. Meditation is not only sitting still and breathing, you can incorporate a spoken component called an affirmation. It is great to meditate with an affirmation as this invites healing words. An affirmation is a statement of positivity. The combination of an affirmation and meditation can invite positive changes into your life. Sometimes we forget that words have a powerful transformational effect. Repeating an uplifting self-affirmation daily, mixed with meditation can help you develop a new self-view or attitude that you can take to create a better day. An example of a positive affirmation is “I am grateful today.” Starting your day off grounded with these words can lead to a stronger mental ability to take on the challenges of the day. Just taking the time to focus on a positive thought can make all the difference in your approach to your day. Meditation allows you to start your day grounded and mentally strong. 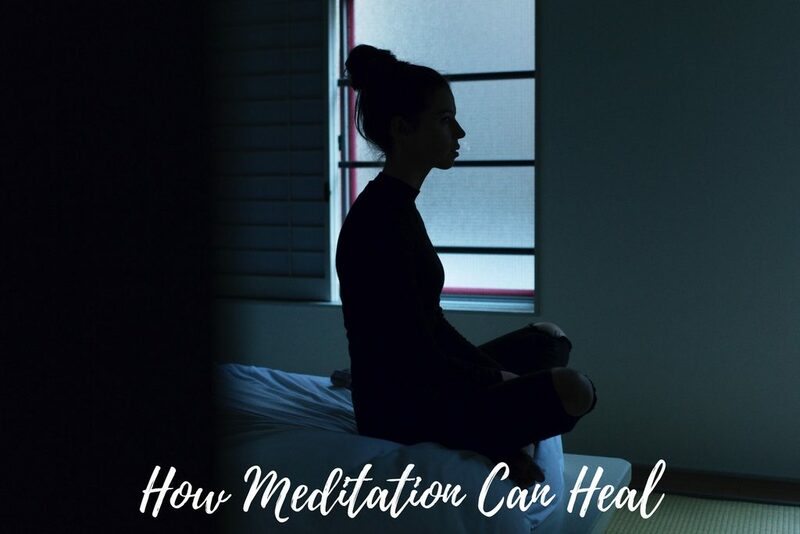 No matter how busy our lives may be, spending just a few moments to practice the mental exercise of meditation can have a strengthening, healing and transformational effect. 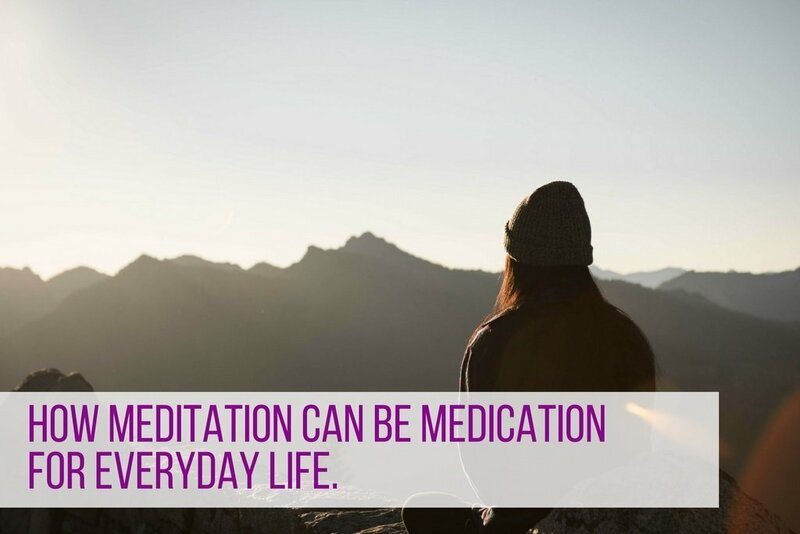 Take a few minutes daily to let meditation be your life’s medication. 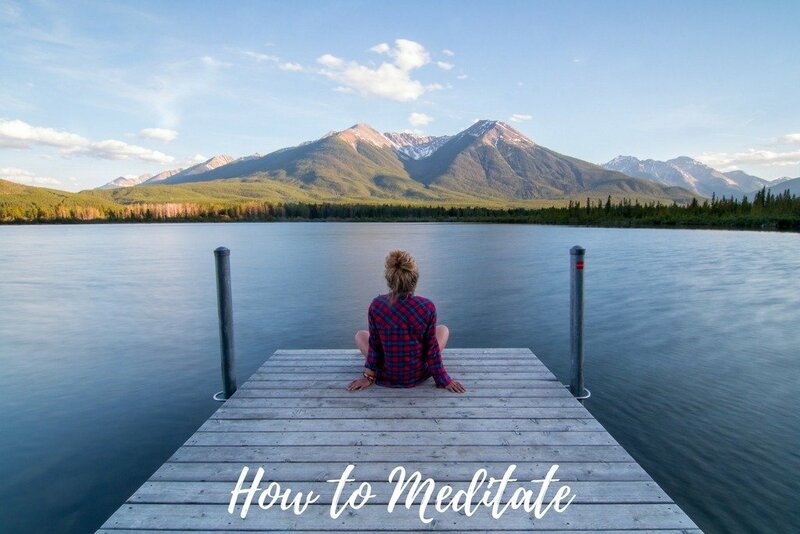 Here is a short guided meditation for peace to get you started.